An email subscriber list is the most valuable asset that a business or blog can own. This is because you actually own this information, and can use it any way you see fit (apart from illegal, of course). You can create and build your email list using different methods. You can also build your email list using Facebook. I will teach you how to accomplish that in this post. Your email list is not affected by algorithm changes, and you don’t have to follow certain special guidelines to be in compliance. You own your email list, and it’ up to you to nurture it and turn your email subscribers into warm members. Having an email list means that you have a ready-made audience ready to buy from you. Your email subscribers are your first source of income that you should utilize. If you have a warm audience/email list to whom you’ve been keeping in touch with, then your email list will be your loyal base for pitching and selling your products. Nowadays, if you want to do serious business online, or create a blog/website to monetize, you shouldn’t rely on social media. Social media should be used to build your email list and reaching larger audiences than you’re capable without it. Therefore, use social media, such as Facebook, Twitter, Instagram, and take advantage of all it has to offer, but don’t rely on it for your business’s success. To this day, email still remains one of the most powerful and profitable marketing means. According to the Constant Contact blog, which relied on a study, “for every $1 you spend on email marketing, you can expect an average return of $38.” This means that email is more profitable than most marketing techniques out there. Generally, when you need to start and grow your email list, there are a few well-known methods that you should start from. These are your foundation and core necessities for building an email list. 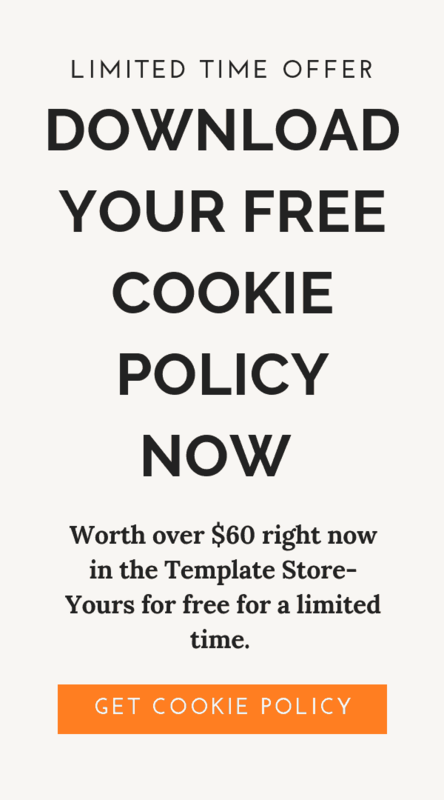 These are actions such as creating a lead magnet or freebie, post about it on social media or place it in a prominent location on your blog or website so that your website visitor will see it and sign up. 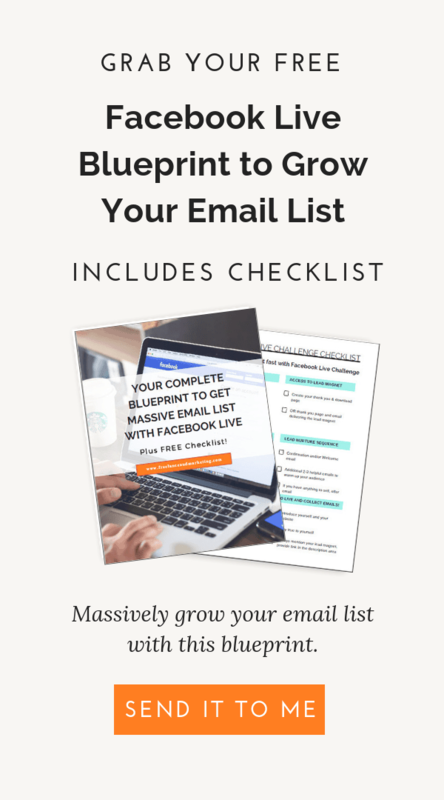 Your next goal is to have a lead nurturing email sequence ready so that you can actually nurture your email subscribers and turn them into loyal followers. To read more about email list building, read this post: Quick Email List Building Tactics for New Bloggers & Solopreneurs. All of these are true and correct. You should absolutely be using these techniques for starting and creating your email list. However, there are other tactics and methods out there that can supplement and complement your email list building efforts. Some methods work faster or better than others. You should experiment and do some tests to see what works best for you. Depending on your personality, financial ability and more, certain email list building options might or might not work for you. This process should feel natural. Don’t force it. However, word of caution-don’t be afraid to get out of your comfort zone and try new techniques. You might find that after you beat that initial hurdle, the process feels natural to you. Before you move forward, you should first make sure your website is optimized for capturing leads and visitors. Make your website a place that captures every lead. Read more on how to Easily Convert Your Traffic Into Email Subscribers. Email list building process can be accelerated if you use social media, especially Facebook. 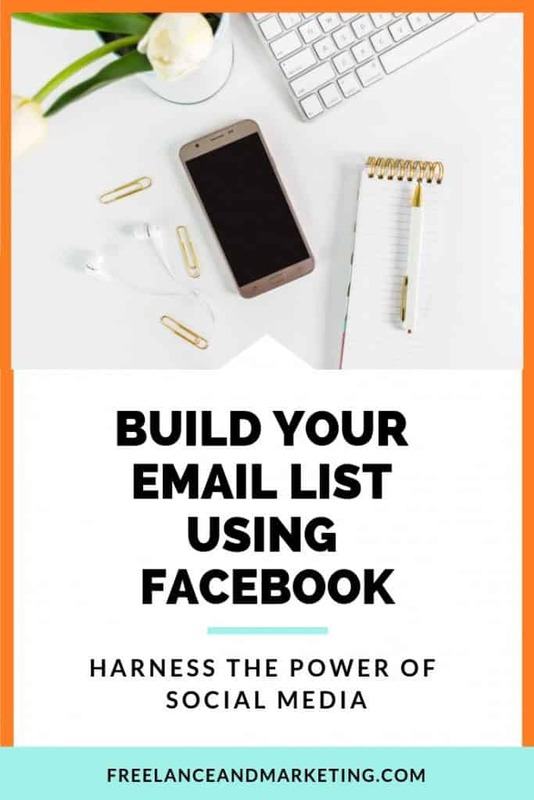 So how do you build your email list using Facebook? There are couple options for building your emails list using Facebook. The most well known one is obviously by using Facebook ads. Facebook ads have become a major player in the online business owner’s life these days. Whether you’re a blogger, solo or entrepreneur, chances are you’ve used Facebook ads for one thing or another. Facebook ads are relatively cheap, fast, and easy to understand. If you have a basic understanding of ads, you can set them up, lead them to an optin or landing page, and increase your email list subscribers. However, today I want to talk about how to build your email list using Facebook Lives. Facebook lives provide businesses and bloggers with huge marketing opportunity. Unfortunately, this amazing free feature is not used properly to give you all the advantages and benefits it’s capable of. Facebook lives are an untapped source of email list building power. Why is this so? Because you potentially have access to millions of people by doing a Facebook live than without it. This is not to say that any Live video you do will get millions of views. No. Like with anything else, it will take time and dedication to build to that kind of audience. With that said, you’re still gonna be able to reach more people with Facebook live than without it. Now, let’s get to the nitty gritty. Stand alone live appearances can work for you if you do them on regular basis, let’s say once a week and talk about a pain point your target audience has or offer a solution to a common problem. However, from experience and research, I found that Facebook live sequences (challenges around a common topic) tend to perform the best. You could create an outline for the 5 day challenge, such as what you’re going to talk about each day, if you’re gonna have any action steps for your audience, etc. 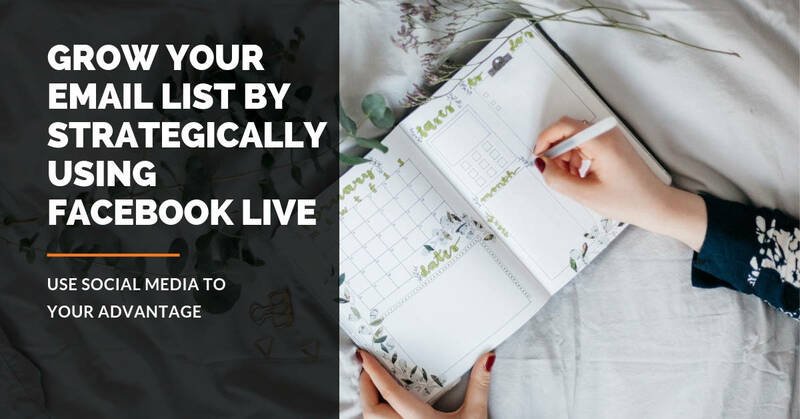 Once you have your Facebook live outline ready, your next step is to create something to offer to your viewers, so when they go to get it, they have to sign up and leave you their email address. This step is where many challenges go wrong and fail in their list building efforts. This lead magnet that you create cannot be an after thought. You have to make sure that there is an actual value in it. Your audience must think so too, otherwise, you’ll lose all credibility and won’t be successful in the future, or they will simply unsubscribe. Once your lead magnet is ready, create a standalone landing page so that you can direct your audience to it. This is where the viewer has to go to sign up to get access to whatever you created (worksheet, more information, ebook, checklist, etc.). For your landing pages you can use ThriveArchitect (affiliate link) landing pages from Thrive Themes (affiliate link), which is what I use and love. Note that the Thrive links are affiliate links. This means if you purchase anything through my links, I will get a small commission at no extra cost to you. Another option for your landing pages is to use Leadpages. This is a subscription-based program and is very popular with many bloggers and online business owners. Aside from landing pages, also make sure that your URL to your landing page is short and easy to remember. You don’t want a bunch of numbers in your URL because no one will remember that. Use Pretty Links or Bitlinks to customize your URLs. Once all of these steps are done, make sure you have a lead nurture sequence ready to go. After completing this step, you’re ready to go Live and start growing your email list by providing value. Facebook is a great social media tool that is full of opportunities for email list building. Facebook live challenges or appearances in general tend to perform very well for email list building purposes. Don’t forget that you can also use your challenge to create an engaged Facebook group or community around the topic of your challenge. You can either create a separate Facebook group for your challenge, or incorporate it in your existing group. Always remember that the trick to email list building is in providing value to your audience. There is no magic formula. You have to put in the work to get results. The same is true for Facebook challenges. If you create a terrible lead magnet for the sake of merely having one, don’t expect good results. If you found this post valuable, please share it with others. Wow really great content. Thanks for sharing. This was such an insightful and helpful post. It can be difficult building an email list from scratch. I’ll be sure to try and make a landing page. Thank you so much posting! Thanks for stopping by Jennifer 🙂 Let me know if I can be of help. One of my major goals for the next 3 months is increasing my email list. This post was very helpful. Thanks! Yes, an email list in my opinion is like having money in your pocket. You need it now. Wow….the things I have to master this year! Thank you for sharing. You’re welcome! Let me know if I can help with anything. Great information, lots of food for thought. Building an email list is my next blog step so thank you. I am glad you found the information useful. Grab my Facebook Live Blueprint to build a massive list fast. It works.